Should I Use a VPN for Streaming and How to Choose One? 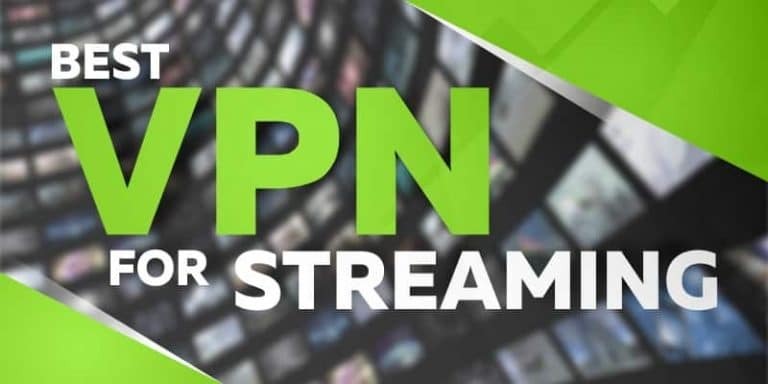 If you’ve heard people talk about using a VPN while streaming but you have no idea what this can do for you, you’ve come to the right place to learn more. Streaming movies and TV shows from third-party websites and sources have become one of the most popular pastime activities. However, depending on where your stream is coming from, you might be placing your data and device at risk every time you sit down to watch your favourite show. Luckily, there is a way to avoid potential risks by using a Virtual Private Network while streaming. Here’s how a VPN can help you and how you can choose the right one. VPN stands for Virtual Private Network, which is a service that creates a strong encryption tunnel between your device and the server you are connected to. In other words, whenever you use a VPN to connect to an online server and use the web, all your information and traffic will undergo encryption processes to stay hidden from third parties. Therefore, as long as you are using a VPN, no one can trace your online activities to your real name and address. The way this is done is simple. A VPN replaces your real IP address with the IP address of the server you are connected to, making it appear that you are situated in the area where the server is located. Therefore, you can be sitting in Argentina, but if you connect to a US server, third parties will think you are located in the United States. There are many benefits to using a VPN (https://free.nordvpn.com/trial/), especially when streaming. Take a look at the list below to get an idea of how a VPN can help you gain more out of online content and cybersecurity. The first and one of the most important benefits of using a VPN service while streaming is the ability to go beyond content blocks and enjoy streaming to the fullest. A VPN can help you virtually relocate to another region to access content that might not be available in the area you are currently situated in. For example, if you live in the UK, but you want to access a stream that’s only available in the United States, connect to a US server, and you will be good to go! The tricky part when it comes to streaming online content is finding reliable stream sources that won’t cause your device any damage or force unauthorized access or data breaches. You can never be sure which site is 100% safe to use but what you can do is turn on a VPN to protect your data and device, no matter where the stream is coming from. Besides, thanks to VPN services, you can stream content securely from anywhere, including public networks in coffee shops. You’re probably wondering why you would want to hide from your internet service provider. The thing is, internet service providers often slow down internet loading speeds if they notice you crossed the monthly data limit for high-speed internet. Some of them even track your data for the purposes of analyzing or even selling it to advertisers. However, if you turn on a VPN, your ISP won’t be able to trace your online steps so you will be able to enjoy a fast stream no matter what day in the month it is. Make sure the service you choose offers a variety of servers in multiple locations. Look for services with high-quality encryption protocols. Check whether the service has a no-logging policy. If not, stay away from it. Look for reliable services with positive reviews from previous customers. Always check whether the service provider offers customer support services and whether they do so via chat or email. Customer support via live chat is always the more preferable option. Choose a VPN that offers a variety of plans so you can upgrade or downgrade your subscription in the future, depending on whether you’re using the service regularly. Virtual Private Networks can do wonders when it comes to securing your online data and privacy. We highly recommend you to start using a VPN whenever you’re streaming online content. After all, it is better to be safe than sorry, especially when talking about cybersecurity. As far as choosing the right service goes, make sure to go through our checklist before subscribing to your chosen provider.